Choosing the right eye doctor is a very important decision. At Bethesda Vision Care, our optometrists and staff provide all the eye care services that you need for healthy vision. We provide excellent care to Bethesda, Chevy Chase, and the DC Metropolitan area and beyond. 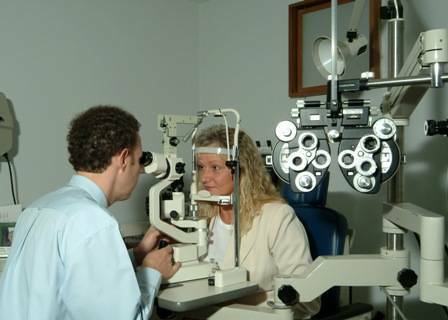 We have a full range of eye care services to patients of all ages. Whether you receive a professional and friendly comprehensive eye exam or contact lens exam, we’ll evaluate your total eye health. If you require vision correction, we’ll ensure that your prescription is accurate and our opticians will help you choose a quality pair of frames from our amazing collection of eyeglasses. Every eye is unique and we carry all different types of contact lenses for all eyes, including OrthoK, scleral lenses and hard to fit lenses. Our state of the art optometry practice in Bethesda is equipped to let us provide top-notch management of eye diseases, such as cataracts, diabetic retinopathy, glaucoma and macular degeneration. Do you suffer from dry eyes? Ask us about dry eye treatment to alleviate your pain. Read more here about what vision problems can be identified with an eye evaluation, what’s included in a full eye check-up, and special considerations for kids and contacts. Early detection of a child's vision problem is crucial.